Robert W. Druckenmiller, 62, of Blacklick, OH and formerly of Fremont, OH passed away on July 20, 2017 in Petoskey, MI. He was born on November 1, 1954 in Fremont, OH to Donald and Madaline (Wolf) Druckenmiller. He was a 1973 graduate of Fremont Ross and Vangaurd Vocational School, where he was inducted into the Hall of Fame. Bob married Lisa A. Haas on February 15, 1974 at Sacred Heart Catholic Church and she survives. He worked for Baumann Auto Group for thirty-three years where he retired from in 2007 as the Body Shop Manager. He then became a Claims Adjuster for Nationwide Insurance in Columbus. He had also worked with his father as a teenager at Scotties Body Shop. Bob was a lifetime member of the V.F.W. and Moose Lodge. He loved golfing, bowling, cooking and cars. He was an avid fan of the Cleveland Browns, Indians and Cavaliers and also the Detroit Tigers and The Ohio State Buckeyes. 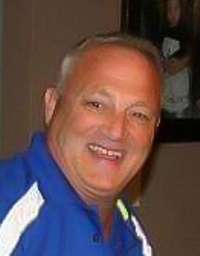 He enjoyed playing softball and coached his children on various teams. His true love was spending time with his family and friends, especially attending his grandchildren’s activities. Bob is survived by his wife for forty-three years, Lisa Druckenmiller, Blacklick, OH; children, Tiffany (Bill) McClain, Blacklick, OH and Bobby (Sarah) Druckenmiller, New Albany, OH; siblings, Bill (Jeanette) Druckenmiller and Susan Davis both of Fremont, OH, Christine (Greg Hill) Haas, Clyde, OH, Claudia Davis and Kellie Koonce both of Fremont, OH; step siblings, Jack (Mary) Freeh, Columbus, OH, Debra (Bob) Eshelman and Tina (Tom) Shaffer both of Fremont, OH and Brenda (Jim) Hendricks, Toledo, OH; grandchildren, Carter Druckenmiller, Brady McClain, Cameron Druckenmiller and Amaya McClain and many nieces and nephews. He was preceded in death by his parents; step-father, Jack Freeh; father and mother-in-law, William and Marian Haas and several nieces and nephews. Memorial Visitation: Wednesday from 2 to 8 p.m. at Wonderly Horvath Hanes Funeral Home and Crematory, 425 E State St., Fremont, OH. Memorial Mass: Thursday, July 27, 2017; 11:00 a.m. at Sacred Heart Catholic Church, 550 Smith Rd., Fremont, OH with one hour of gathering prior the service at the church. My thoughts and prayers are with all the family! Speechless…prayers to you Lisa and the family. So sorry for your loss. Bob was my sons, Adam Stover’s baseball coach when he was young. Adam was truely saddened by the loss. He was a wonderful man and will be truely missed. RIP Bob! I’m at loss of words on hearing of the passing of one of best guys I ever met in my whole life. I feel so bad for all of you. Just know you are all are in my heart and prayers. Love you all Lisa..
Sending prayers for the family. He will be missed by all. Our condolences to all. My heart goes out to you Lisa and your entire family. May God help you thru this. He will truly be missed by all. Bobby was one hell of a good man to all of us. RIP my friend. To Bobby’s wife,Lisa and their children and grandchildren and his siblings,Bill, Sue, Chris, Claudia and Kellie, my deepest sympathy!My heart goes out to all of you. When I think of him, I see his smile! I wish so badly that I could be at his funeral but I am leaving for California to see my daughter and her family on Tuesday. But please know that Bobby and all of you will be in my thoughts and prayers! My sympathies and prayers to Tiffany and the entire family during this very difficult time and in the weeks ahead. Don’t know what to say, wonderful man.My prayers go out to the entire family. So sorry for your loss Lisa , & your family!! Bill & Jennette so sorry!! Thinking of y’all & hugs! Hold tightly to all your great memories! I’ve known Bobby when he worked at Scotties body shop with my parents ( Bud and Sue Leibold). I had the biggest crush on him and his brother Billy. You surely will be missed. Spread your wings and be that beautiful angel that you are. Sorry for your lost. We are so very sorry & are heartbroken for you Bill, Tiffany, Brady, Amaya, Grandma & the rest of the family & friends. We are here for you for anything you may need & are praying for all of you. So sorry for your loss and sorrow at this difficult time. My thoughts and prayers are with you and your family. RIP Bob. Our hearts go out to all of Bob’s family members. May your happy memories bring help and comfort during this difficult time. RIP.Bobby D. Our thoughts and prayers are with the whole family. He will be truly missed! I am sorry to hear about Bobby. God works in strange ways. My sincere sympathy for your loss, Lisa. My support, thoughts and prayers are with you at this time. Lisa and family I am so sorry to hear about Bob, He was a great guy. You and your family will be in my prayers. My thoughts and prayers are with your family. He was such an awesome person. Childhood friends, the bond that lasts a life time. Huggs to the family. I was so very sorry to hear of Bobby’s passing. My sincere sympathy to Lisa and all of Bobby’s family. He was such a nice guy. You are in my thoughts and prayers. Praying for the family – Bob was such an amazing soul. He will be missed in the office. RIP Bob. So sorry for your loss. Bob was the most genuine person I ever met! I am so, so sorry for your loss Tiffany. My thoughts and prayers are with you and your family through this difficult time. My sincere condolences to Tiffany McClain and family. Our thoughts and prayers go out to the immediate and extended families. Our deepest sympathies to everyone…Bob will truly be missed! Bob’s presence will certainly be missed in the office. Enjoyed our conversations regarding our favorite teams. Deepest condolences. Rest In Peace Bob. We were so saddened to hear of Bob’s passing. He was such a kind person and we are so grateful to have known him. We pray that God gives you the strength and faith to heal your broken hearts. Hope that knowing Bob is in God’s tender loving care will bring comfort. Haven’t seen him in years, but remember his humor, love of life and, most importantly, his unconditional love for his family. Rest peacefully, Bob. To Tiffany and all your family– please accept our condolences. We were so sorry to hear of your loss, and wish there was something we could have done to make things easier during this last hectic week. Our sincere condolences to the family. He is the G.O.A.T. baseball coach and a good man. Feel free to reach out during this difficult time, you have friends that live down the street in Gahanna. My prayers and condolences at this time of sorrow. Bobby was a very kind person and I cannot express how much he will be missed. Work will never be the same without Bobby D. Will miss talking Browns, Cavs, and Tribe and hearing about his grandsons baseball. Will always remember his love for his family and life, he was one in a million. My most sincere condolences to the family. May God always bless you! Rest in Peace, Bob! Thank you for sharing your memories of Bob! He was blessed with such a great family!! I don’t think I ever saw Bob without a smile on his face, even after a tough Brown’s loss! He would always have a few moments to talk about the Browns with me! He will certainly be missed at work. I am so sorry for your loss! May the peace of God be with you all! My thoughts and prayers are with Bob’s family as I extend our deepest sympathies to those who loved Bob the most……….from the families of Arnold’s Body Shop in Davenport, Iowa. So sorry to hear of Bob’s passing. We were former neighbors and classmates from way back in grade school. May he rest in eternal peace. I went to school with Bob and will always remember him as a very nice guy. My thoughts and prayers go out to you all and I hope that your wonderful memories help sustain you through the difficult days ahead. Keeping Lisa & family in my thoughts & prayers … so sorry for your loss. I went to grade school with Bob, he was such a sweet person.